» Can Cats Eat Turkey? Many people believe turkey is one of the healthiest types of meat people can consume. Turkey is high protein and low in fat. But is turkey good for cats to eat? Probably everyone knows that cats love meat. As obligate carnivores, meat is actually the only food cats really need to eat. In fact, cats derive little to no nutrition from plants and vegetables. Be careful always feeding them pure meat such as pork or chicken. Turkey is a healthy meat that low in fat and high in protein and is generally good for cats. Because it is low in fat, it is a good treat that will help them to avoid excessive weight gain. Cats love turkey, but is it okay for them to eat turkey lunch meat? A 2 oz. serving of sliced turkey typically has between 500 and 700 milligrams of sodium. By contrast, the daily recommended allowance of sodium for a nine pound cat is about 42 mg. In humans, there is quite a bit of evidence linking increased dietary sodium levels to hypertension, cardiac and renal disease. However, in cats, a 2 year study failed to show that increases in dietary salt intake were harmful to cats’ renal function or raised their blood pressure. This doesn’t mean that high salt foods are good for cats, it’s likely that cats are just more tolerant to high salt level than humans. The verdict is also still out on whether high-salt diets are detrimental to cats who already have kidney or renal disease. If your cat does have renal disease, follow your vet’s advice which will probably include a recommendation that your cat not eat a high-sodium diet. Kittens tend to be even more susceptible than adult cats to most things because they are tiny and are not yet fully developed. While there is little evidence that the high salt levels in turkey lunch meat is bad for cats, it is best to feed your kitten a balanced diet with nutrient levels that follow the recommended daily allowances. 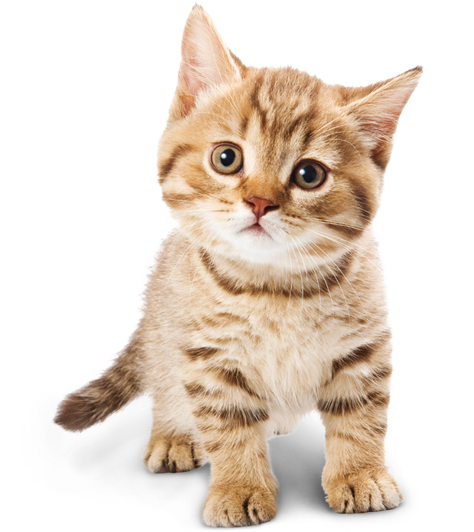 Also, toxins and bacteria found in raw turkey are even more likely to make a kitten sick than an adult cat. If you are going feed turkey your kitten, it should be cooked first. Or, you could always try a kitten food made with turkey. Here’s a video of a kitten eating turkey cat food, and it’s clear he loves it! Turkey is packed with nutrients and proteins. Cooked turkey can be a nutritious supplement to a cat’s regular diet. However, raw turkey can be contaminated with bacteria, such as Salmonella. That is why turkey must be fully cooked, as the bacteria are destroyed from the heat of properly cooking the turkey. In severe cases life-threatening septicaemia and endotoxemia may develop and in rare cases the infection may spread to different organs causing pneumonia, meningitis, and abortion. Though rare, turkey can also be a source of food allergies in cats. If your cat starts having symptoms, take them to your veterinarian who can often identify the source of the allergy and you can then make the necessary changes to their diet. In some cases, your vet may recommend switching to a hypoallergenic cat food. Finally, the bones in turkey can pose a choking risk for cats. This is especially true of cooked turkey bones because they are even more likely to splinter, same as if you gave your cat chicken bones. Make sure any turkey you give your cats has first had the bones removed. Adult cats are fine to have turkey as a treat. But, just to make sure they have a balanced diet with all the nutrients they need, why not try a cat food that made with turkey? Many of these products have been tried and reviewed by thousands of cat owners. With a little research, you can find a cat food or turkey flavored treat that is safe, and that your cat will love. For kittens, there are many turkey favored kitten food and treats. So, Can Cats Eat Turkey? Yes, cats can eat turkey. However, we learned you should never feed raw turkey to your cat or kitten because bacteria that are often present can make your kitty pretty sick. You also need to be careful about any bones that might be in the turkey as they can be a choking hazard for your cat. As an alternative to fresh turkey, there are thousands of safe and healthy turkey flavored cat foods, treats, and kitten foods that are great alternatives to giving fresh turkey to your kitty. If you’re also wondering if cats can eat ham, you can click here to find out. If you have any questions or would like to share a story about your cat and turkey, please tell us in the comments below; we’d love to hear from you.